Are responsive eLearning solutions a must? Responsive is the word currently buzzing on the lips of everyone in the eLearning industry. 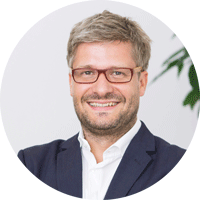 Stefan Reicher tells us what it is all about, what it means for eLearning solutions, and why it is more than just a trend. Today’s typical eLearning solutions are designed for use on normal computers. Moreover, company IT departments usually ensure that hardware and software are as uniform as possible. External learners, in other words, business partners and customers, often have to orient themselves toward the officially supported system requirements. The running of eLearning solutions is thereby shifted squarely into the area of responsibility of the learner. In any case, eLearning designers can draw on unlimited resources for their solutions, and they do so. The fact that eLearning content could also be used on other devices than a desktop is not currently an immediate requirement according to many eLearning managers. ‘Mobile’ is indeed regarded as an issue; however, it is only considered a realistic scenario for their company in the distant future. Consequently, these solutions should also be made available on additional terminal devices in order to secure the investments made in eLearning content and learning management systems. This generally leads to budget and resource-intensive alteration work, which in turn frequently results in the ability to call up the solutions in the expanded environment in an error-free manner to some extent. Whether or not the learners can really appropriate the content under these circumstances is far from assured. Attempting to transfer the content of the PC version to smaller screens generally leads to suboptimal results due to poor readability, unsuitable navigation, missing plug-ins, unacceptable loading times, etc. Why, you ask? The eLearning content is just not designed for use on these kinds of devices. So, do your eLearning solutions have to be responsive? There will be no way around it in the future. The problem is not new. Every website programmer is confronted with heterogeneous system landscapes (different browsers with new versions being released all the time, a lack of uniform standards for tablets and smartphones, a range of screen sizes and relationships). Web developers’ response to this is responsive web design, or RWD for short. Responsive web design is a design and technical approach to the creation of websites so that these websites can respond to the properties of the particular end device used. The graphic structure of a responsive website is based on the requirements of the device with which the site is viewed. This particularly applies to the layout and size of individual elements such as navigation components, page columns, and text. Solution designers are also faced with the problem that it is not just a matter of the layout of graphic elements; it is also a question of maintaining the effectiveness of their didactic concepts across all of the different end devices. However, solution designers cannot deal with the pressure of expectation for much longer, and luckily, they will not have to. HTML5 developments enable the development of device-independent learning content. Really intelligent solutions not only adapt the layout and how the content is presented to the options provided by the various terminal devices; they also adapt the content itself. An example would be the desktop version of eLearning content featuring animations that are not shown in the smartphone version, or text from the animation being adopted in simpler graphical formats. Does that sound like an amazing development? Absolutely! The advantage is obvious from the company’s point of view: Instead of having to develop multiple eLearning solutions, responsive eLearning design makes it possible to serve all common devices from one single content source. This is gentle on the budget and enables greater resource efficiency. Learners can benefit, too. Accessible eLearning solutions that look appealing and work regardless of the end devices and technical platforms used are extremely motivating for learners. As we already know, the success of eLearning solutions will continue to be largely defined by how successfully they motivate learners and package content in an appealing manner.